The Broadcom MASTERS (Math, Applied Science, Technology, and Engineering for Rising Stars) is a national science, technology, engineering, and math competition for 6th, 7th and 8th grade students encouraging the nation’s young scientists, engineers and innovators. The competition is designed to give middle school students a personal “ah ha” moment tapping into their personal interest inspiring them to continue studying science and engineering to achieve their personal goal or aspiration. Sequim Middle School student S. Weber received a Broadcom Masters Award for his science project at the WSSEF. Weber went on to be named a finalist and competed with 29 other middle school-aged students at the Broadcom MASTERS science competition in Washington D.C. where he won the ‘Rising Star Award’. 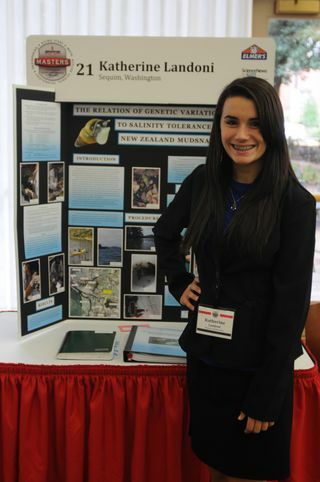 The award included an expense paid trip to Intel ISEF and naming rights to a newly discovered asteroid. Weber’s asteroid is Seanweber (28757), orbiting between Mars and Jupiter — it was discovered on April 27, 2000, a few months before Weber was born. Weber’s school received $1,000 in his honor. 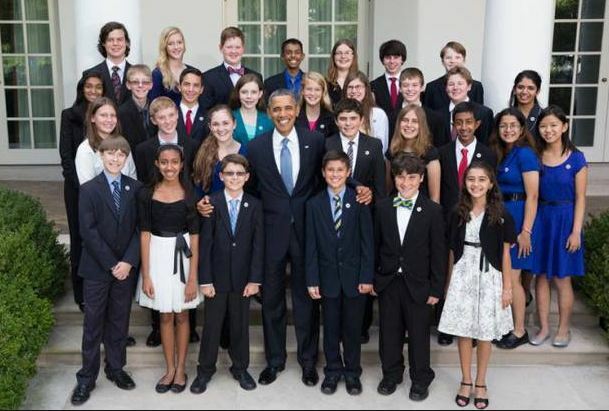 S. Weber is the boy in the front row to the right of President Obama. The first Broadcom finalist from WSSEF was K. Landoni, Sequim Middle School, where there is an active Science Club providing students with mentors for authentic science research. Through extra-curricular Science Club programs, some Washington students show they can move beyond the standard expectations and distinguish themselves as budding scientists and engineers. The Broadcom MASTERS competition begins with Regional and Washington State Science & Engineering Fairs and culminates at the National Finals in Washington D.C. WSSEF is proud to annually nominate 36 students for the Broadcom MASTERS. Nominees are selected during the WSSEF judging and announced on-stage at the WSSEF Awards Ceremony. Eligible nominees complete an online application for the opportunity to compete for valuable awards and prizes. By entering, they may become one of 30 National Finalists earning an all expense paid trip to Washington D.C. for the student and parent. Tell your local school officials you want students to have more opportunities to “do science” rather than “view science”.